Thanks to media saturation, it’s hard to truly shock an audience with something. Usually it takes something truly unexpected to blow a viewer's mind. Thankfully, live television, usually reserved for daytime news and sporting events, is one of the only places that we can truly be shocked anymore. Whenever people see shocking things caught on live TV, it freaks them out so much more than if they were watching a movie. Maybe it’s because you don’t expect anything to be truly shocking anymore, or maybe it’s because your brains don’t know how to comprehend a dual helicopter crash. Check out this list of the most unexpected things to ever happen on live television, and prepare for your brain to melt. While there have been horrible tragedies captured on live TV, there’s also an adorable cat and maybe the most excited meteorologist you’ll ever see. Some of the items in this collection of unexpected events were massive news stories that have taken on almost mythic proportions over time, while other moments still feel like they’re so strange that they can’t actually be happening. Even though we’re telling you that you’re about to watch a series of unexpected moments, there’s no real way to prepare yourself for what you’re about to see. Vote up the most shocking moments caught on live television, and then tell everyone in the comments section about the most shocking thing you ever saw on live TV. In 1986, NASA was high on its biggest PR moment since the moon landing thanks to the fact that along with six astronauts, they were sending an educator, Christa McAuliffe, into space. 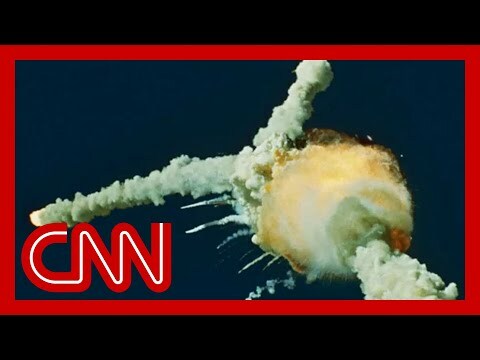 It's hard to say just how many people were watching television when the Challenger went into the air and then quickly burned up in front of the eyes of the world. In 2015, reporter Alison Parker and her cameraman, Adam Ward, were gunned down on air by a disgruntled former colleague near Roanoke, VA while broadcasting live. The perpetrator was Vester Lee Flanagan, who once worked as an on air broadcaster for WDBJ in Virginia. He killed himself a short time after the murders occurred. Allegedly, only one tape exists of the suicide and it may be so degraded that it's impossible to view. In 1998, Daniel V. Jones, an HIV-positive maintenance worker from Los Angeles, parked his truck in the middle of an interstate, unfurled a banner that read, "HMO's are in it for the money!! Live free, love safe or die." That's when the SWAT Team and news helicopters showed up, giving Jones the world stage to light himself on fire with a Molotov cocktail, before shooting himself with a shotgun.